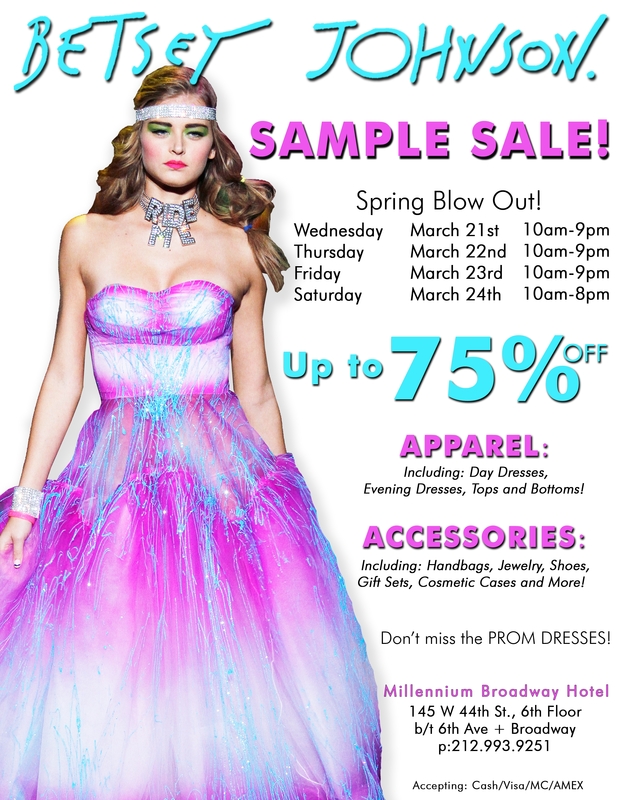 Betsey Johnson Spring Sample Sale! Hey dolls! My apologies for such short notice! I have been so busy I have been out of the loop with Betsey Johnson. However, I tried to get this flyer out to you all just in time and I hope you can all make it! ← What I wore today (3.12.12): Inspired by Coney Island.